Written by Gregory on July 24, 2018 in Releases. Do you want to play a roleplaying game with a story that isn't centered around violence? Do you want to play in a large group, or without putting the burden of running the game on a single person? Do you want a game designed to encourage healthy, consensual social interaction? 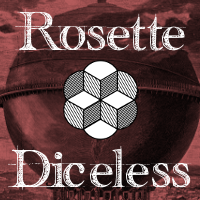 Rosette Diceless is now available. Rosette Diceless is a consensus-based, story-focused, improvisational roleplaying game that works equally well tabletop or live-action. Character creation is quick. There's no Game Master or Storyteller and anyone can narrate and affect the story. 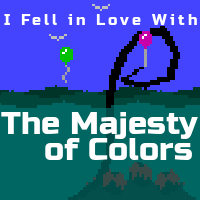 At launch time, you can purchase a PDF and e-book from itch.io or a Kindle book from Amazon. If you are interested in a paperback, we'll be on DriveThruRPG very soon with a PDF and a POD version. If you want both digital and paperback versions, we'll have a bundle available on DriveThruRPG. If you buy the digital version elsewhere before the paperback is up, contact us at info@futureproofgames.com with proof of your purchase and we'll send you a coupon for the POD once it's available. Learn more and buy Rosette Diceless! Last update on July 24, 2018 .